Critically acclaimed literary, mystery and SF/F books. Congrats to Darrell on his "out of this world" SF novels! Above the Ash. dark fantasy by Maria DeVivo. Changing Faces, fantasy romance by Barb Caffrey. Death by Opera, mystery by Erica Miner. Dolet, nonfiction novel by Florence Byham Weinberg. Equity of Life, medical thriller by Rudy A. Mazzocchi. Farindian Summer, fantasy by Loren K. Jones. Firewalker, fantasy by Loren K. Jones. Fists of Justice, fantasy by Christopher G. Nuttall. Frozen, a ParaNormal mystery by Christine Amsden. Gods Above and Below, fantasy by Loren K. Jones. Graduation Day, fantasy by Christopher G. Nuttall. Inadvertent Adventures, SF by Loren K. Jones. Infinite Regress, fantasy by Christopher G. Nuttall. 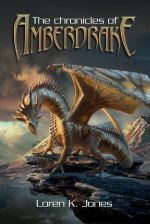 Kaitlin's Tale, fantasy by Christine Amsden. Latina Authors and Their Muses, nonfiction by Mayra Calvani, Editor. Liberator, fantasy by Loren K. Jones. Past Tense, fantasy by Christopher G. Nuttall. Savior, fantasy by Loren K. Jones. Space Trails, SF by Darrell Bain. The Andarian Affair, fantasy by Loren K. Jones. The Barbarian Bride, SF by Christopher G. Nuttall. The Broken Throne, fantasy by Christopher Nuttall. The Cavalier Spy, military historical by S. W. O'Connell. The Coravian Conflict, fantasy by Loren K. Jones. The Gordian Knot, fantasy by Christopher G. Nuttall. The Princess in the Tower, fantasy by Christopher Nuttall. The Royal Trinity, fantasy by Dominick Domingo. The Sergeant's Apprentice, fantasy by Christopher G. Nuttall. Traders and Traitors, fantasy by Loren K. Jones. Trial By Fire, fantasy by Christopher G. Nuttall. Under Strange Suns, SF by Ken Lizzi. Wedding Hells, fantasy by Christopher G. Nuttall. PDF ARCs of upcoming releases are available! Cassie Scot is an Award-Winning Finalist in the Science Fiction/Fantasy category in the 2014 Next Generation Indie Book Awards. Secrets and Lies won Silver in the Fiction Fantasy/contemporary category of the 2014 Global eBook Awards. Mind Games is the winner in the category of Paranormal in EPIC's 2015 eBook award and also won Silver in the Fiction Fantasy/contemporary category of the 2014 Global eBook Awards. Stolen Dreams won gold in the Fiction Fantasy/Contemporary category of the 2015 Global eBook Awards and was a finalist in the Fiction eBook Category for The Next Generation Indie Awards. This page last updated 04-17-19.